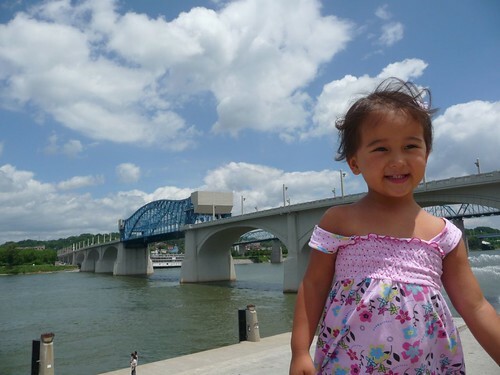 Mali Mish – Day 94: Our first day in Chattanooga, Tennessee. Our drive from Pigeon Forge to Chattanooga landed us here late in the evening in need of a place to park for the night. 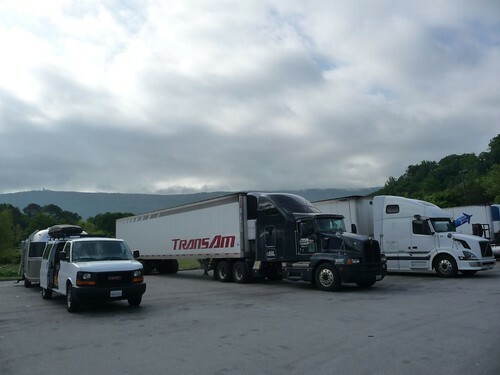 Chattanooga being near the Georgia border, we actually crossed back into Georgia and found a BP truck stop with room for us to crash. 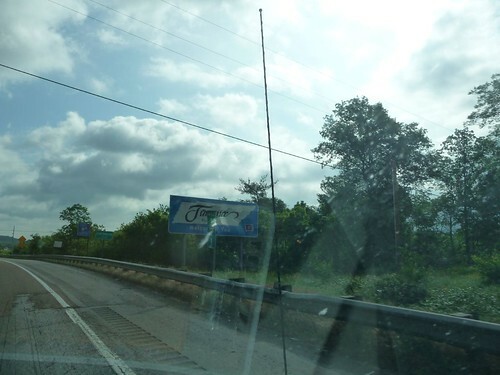 The Tennessee landscape continues to impress us with its lush forests and scenic mountains as we crossed back across the border in the morning in search of a campground. 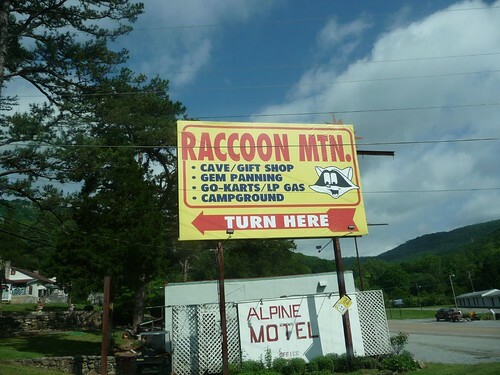 What we found was a place just a few minutes from us called Raccoon Mountain Caverns and Campground. 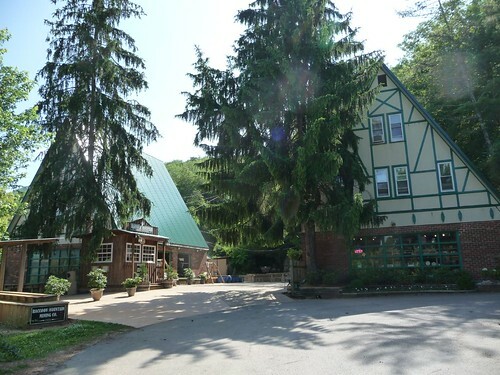 It is fairly secluded and when we checked in here, there were plenty of spots available at very reasonable prices for full hookup sites. One of the interesting things about Raccoon Mountain is that it seems to be operated completely by teenagers. At least when we got there. A high school aged girl was at the office doing the check-ins while several other high school aged boys were running around the grounds doing various maintenance type work. 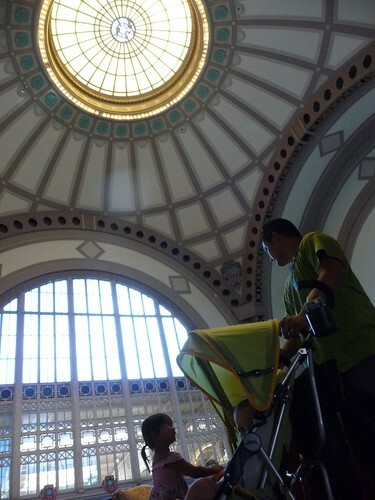 Although it seemed out of the ordinary, they were an efficient bunch that kept the place well manicured and maintained. Since it’s our first day here, we didn’t have any real plans on what kind of sights we were going to see. After getting settled in, we decided to just take the 10 minute drive into town to see what it has to offer. Driving from Raccoon Mountain took us around the Tennessee river and into downtown Chattanooga. Right next to the visitor’s center was the Chattanooga Aquarium. 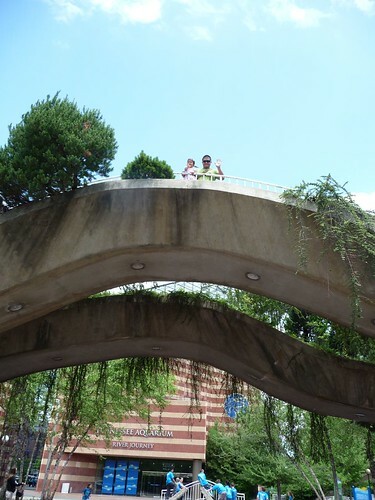 We didn’t want to spend a whole day wandering around looking at fish so we opted to do some exploring nearby instead. 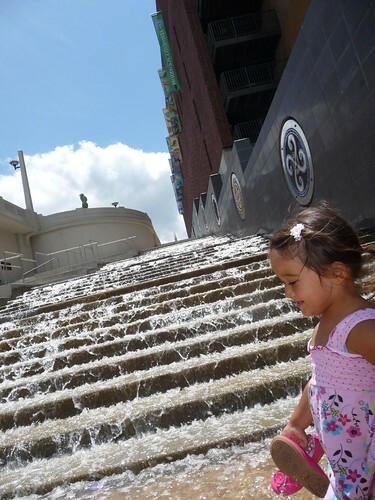 The aquarium has built a bunch of outdoor water features that surround the building so Ava got right into frolicking. 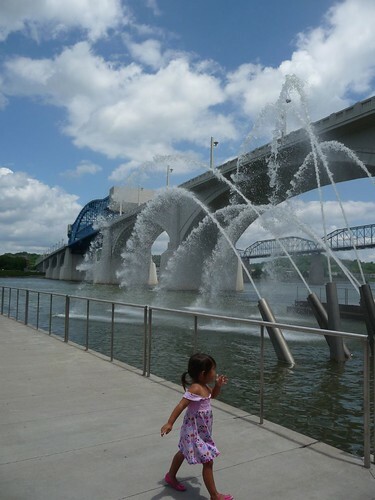 Heading down a grassy hill from the aquarium lays the Tennessee river that wraps around the city of Chattanooga much like the Mississippi river does with New Orleans. In 1830, President Andrew Jackson signed the Indian Removal Act into law that forced many native Americans to relocate from their land into government sanctioned reservations. Many of them were escorted right through Chattanooga against their will and more than a few lost their lives along the way. It was a dark time in America and much of the water displays here in Chattanooga are built to memorialize the suffering they endured in what is now called the Trail of Tears. These steps that come down from the street level into the Tennessee river are accompanied with tradition native American symbols that represent many aspects of their heritage. 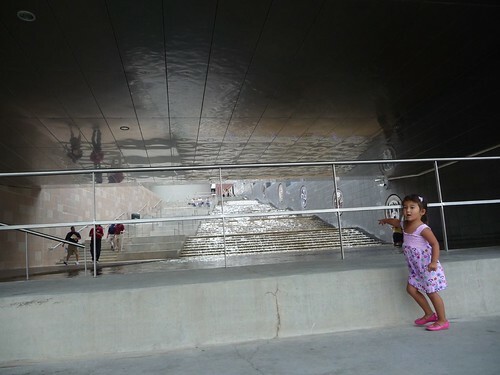 They might be meaningful to lots of native American descendants, but to Ava, they are pretty pictures next to this awesome waterfall on the stairs! With Nashville under water just recently and it being our next stop on the trip, maybe we are getting a glimpse of what our visit might be like. 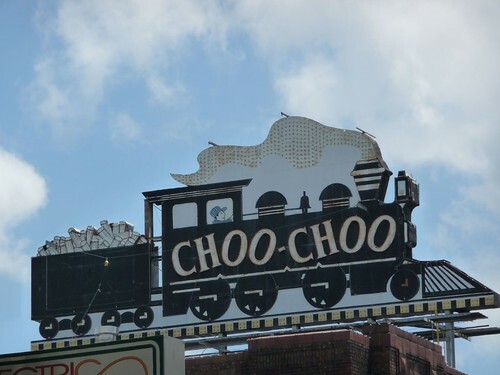 Another destination we wanted to see was a hotel called the Chattanooga Choo-Choo. 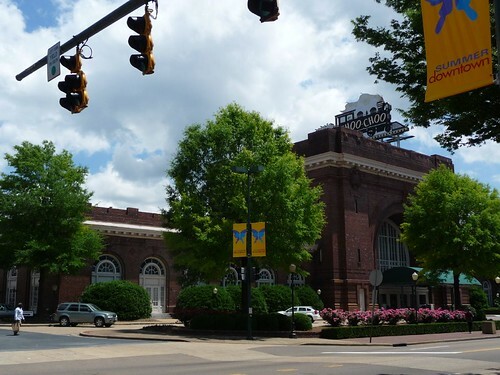 It was formerly a major train depot in Chattanooga but is now a hotel named after the 1940s song of the same name, inspired by the terminal station that was once a bustling travel center. 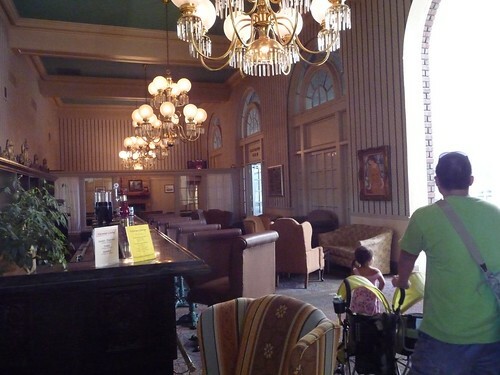 Inside the lobby of the hotel, it retained the same turn-of-the-century architectural grandeur with its high vaulted ceilings and decorative details. Since it was the middle of the week, hardly anyone was here. The bar next to the lobby was pretty much deserted but it sure would make a great place to have a cocktail while waiting for your train to pull in. 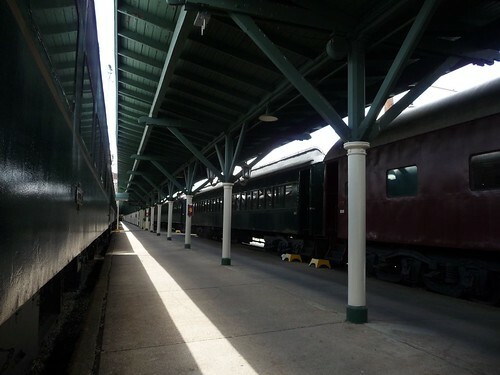 In the yard there are many restored trains that still rest on some of the old train tracks that once carried passengers and cargo across the country. Some of them for pure decorative purposes but others are put to use for restaurants and even rooms that visitors can stay for the night. These trains sit on the tracks at the former station just as they did many years ago. Our friend Carrie from California has always told us an interesting story about this place long before we knew we were going to be visiting here. 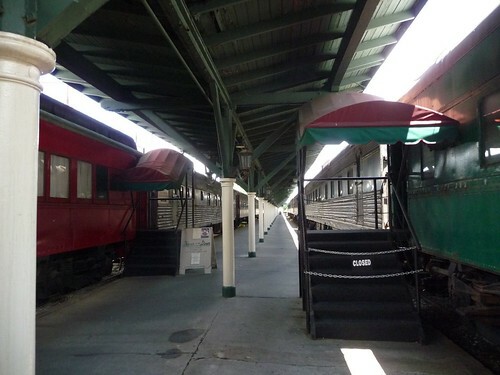 Although not known to be a haunted location, Carrie once traveled to Chattanooga alone and found herself at the Chattanooga Choo-Choo Hotel on a rainy night needing a place to stay. 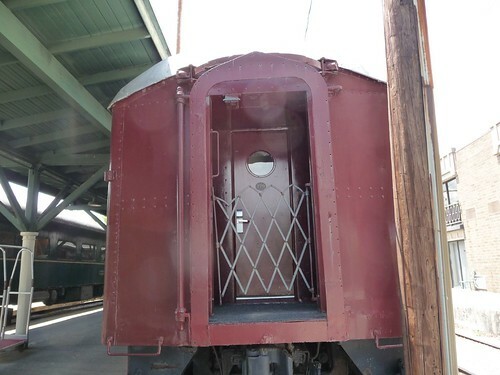 She had wanted to get a train car room and the only available one was one of the end units much like this one here. 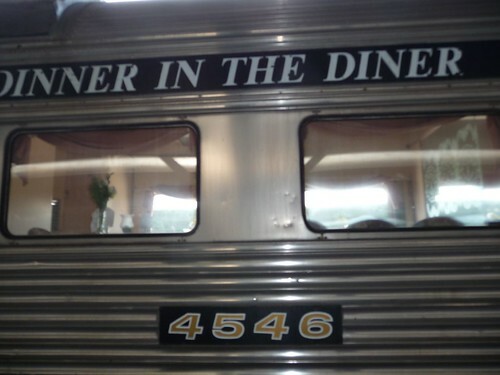 Having checked into her caboose late at night she found the room a bit disheveled but thought nothing of it as she settled in. With the television on to keep her company, she suddenly noticed that the volume was rising all by itself without any intervention of the remote or the control on the set. Realizing that it was nothing she was doing, she spent the rest of the night hiding under the bed sheets while talking to her sister on the phone to keep her company. 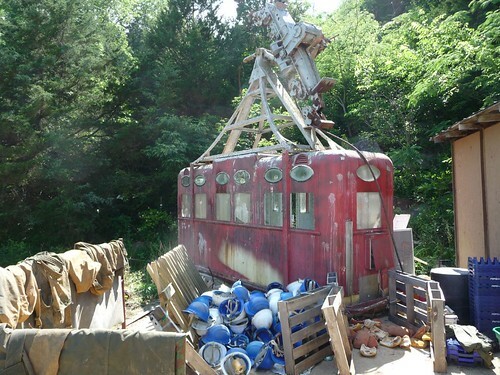 Doesn’t this empty train yard look much spookier now that you have heard Carrie’s story? Now picture it pitch dark with the oh so common thunderstorms in the south. It’s giving me the heebie jeebies. Let’s get out of here. We got back to Raccoon Cavern and decided to do some more walking around of the campground. 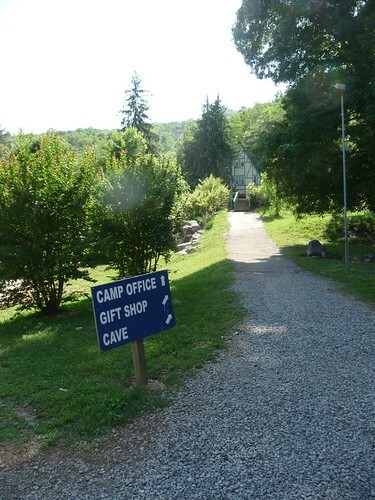 This is a buildings up at the cave entrance that also doubles as a gift shop. Well, that’s all we got today. Tomorrow we will be doing some real sightseeing in the Chattanooga area. See ya! 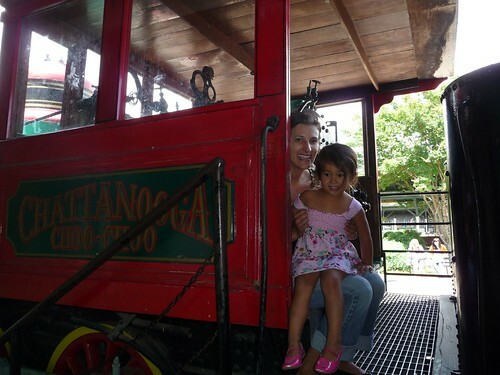 Day 93: Kitschy America – Pigeon Forge, Tennessee. 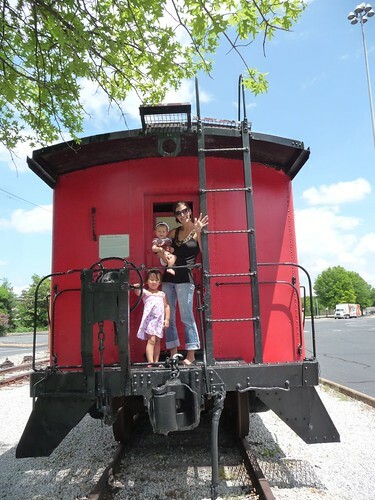 3 Responses to Day 94: Our first day in Chattanooga, Tennessee. i just read this!! now my ghost story will go down in malimish history!! 🙂 i was scared. but it was worth it. We are actually already home 🙁 Got back earlier this week. We are a little behind on the blog. We’ll have to hit your neck of the woods on our next trip. Thanks so much for reading and for the comment too. Comments make my day! !